A new season of Stranger Things calls for new gruesome monsters to fight, new characters to get attached to before they inevitably perish (rest in peace, Bob), and new adventures to follow. According to series executive producer Shawn Levy, it also means a fresh backdrop and a different tone. During the show's panel at this year's PaleyFest LA, Levy revealed that season 3 of Stranger Things will be set in the summer and will feature a kind of "poppy fun" that fans haven't seen in the series before. "Season 3 is set in the summer, so right out of the gate that's a big difference," Levy told Variety at the Dolby Theatre in Los Angeles. "The first two seasons were very much school-based. This is that time of year where it's not about school. It's about the swimming pool and campfires and parades and Fourth of July and fireworks, so there's kind of a poppy fun to season 3 that's really enjoyable." Of course, this easy-breezy, light-and-airy spirit won't last forever. (This is the Demogorgon and Demo-Dog-ridden Hawkins, Indiana, we're talking about.) Levy said that things will "inevitably turn super dark" as the new season carries on. Speaking of predatory creatures that lurch from the Upside Down to the outside world, Levy teased that following the Demogorgon and Demo-Dogs' reign of terror, there will be a new batch of monsters visiting Hawkins, as the "the shadow monster is still lurking up there out there in the Upside Down." Levy added that the monster, also known as the Mind Flayer, is "determined to find a way to achieve his goals" of controlling all the creatures in the Upside Down, possessing innocent people (like Noah Schnapp's Will Byers), and infiltrating Hawkins to destroy the town and its residents. Elsewhere at PaleyFest LA, Levy spoke with The Hollywood Reporter and dished up additional details on season 3. 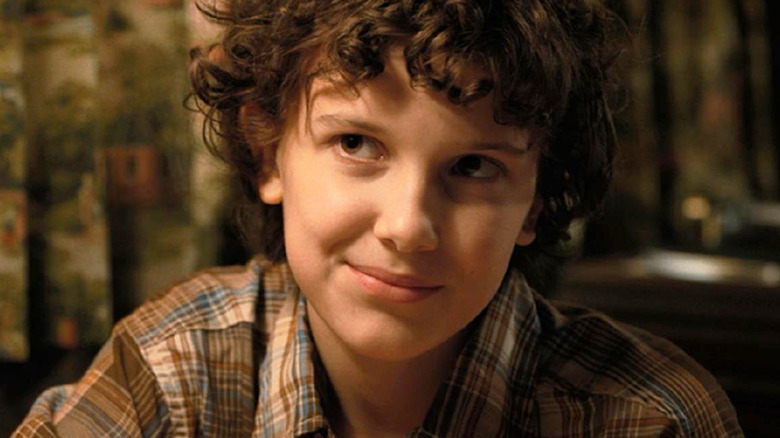 He revealed that Millie Bobby Brown's Eleven and Finn Wolfhard's Mike will be a couple at the start of the new season, which isn't too big of a surprise considering that adorable Snow Ball dance at the end of season 2. Caleb McLaughlin's Lucas and Sadie Sink's Max will also have a romance of their own. "Mike and Eleven and are going strong, so that's a relationship that continues, and same with Mad Max and Lucas," said Levy. "But again, they're like 13 or 14 year-old kids. So what does romance mean at that stage of life? It can never be simple and stable relationships and there's fun to that instability." Levy then mentioned that everyone's favorite baseball-swinging babysitter Steve Harrington, played by Joe Keery, will have a larger role in season 3, but he'll also remain linked to the series' younger characters, particularly Gaten Matarazzo's Dustin. "We'll definitely get to see some more of Steve Harrington in season 3, and I'll just say we won't be abandoning the 'Dad Steve' magic," he teased. "I don't want to say much more, but I literally feel that we were walking along and we stumbled onto a gold mine with 'Dad Steve." Netflix hasn't announced a release date for Stranger Things season 3 just yet, but Levy did confirm that production will begin this month.